Wow, it's the middle of September already. I'm still clinging onto Summer with my kung fu grip, but I can tell Fall is right around the corner. Here are a handful of late Summer outfits. I bought this top at Target a few years ago. I never seem to have enough prints, so any time I find one that I like, I grab it. I liked the way the two colors complimented one another. 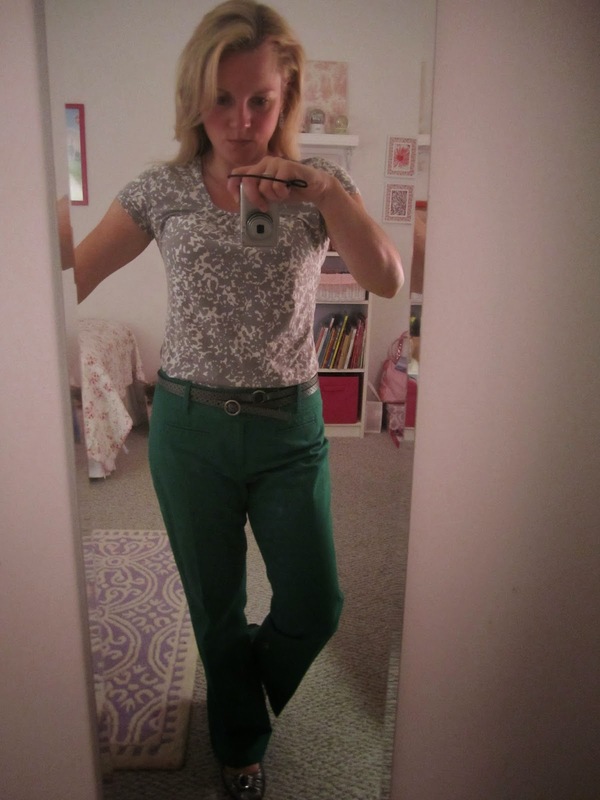 I wore my double strand belt from Athleta to tie in all the grey. 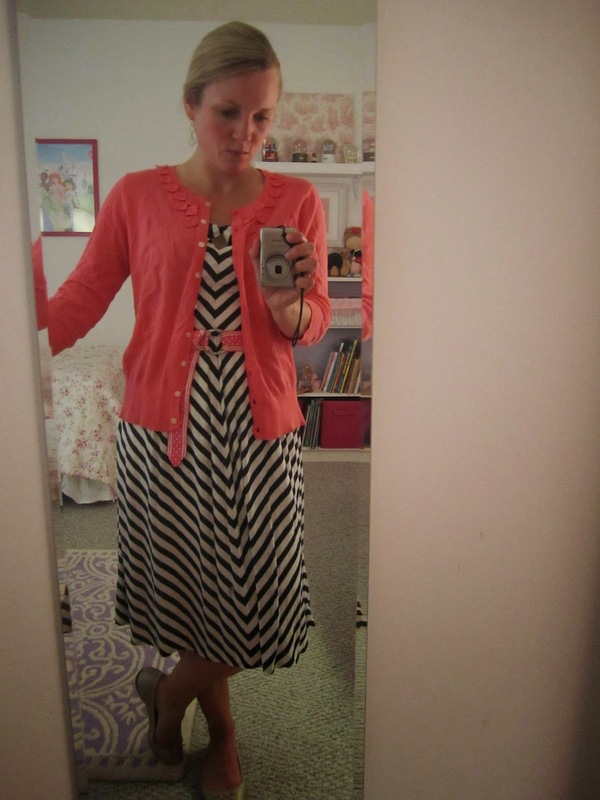 I just blogged about this dress! I wore this a bunch every Summer. 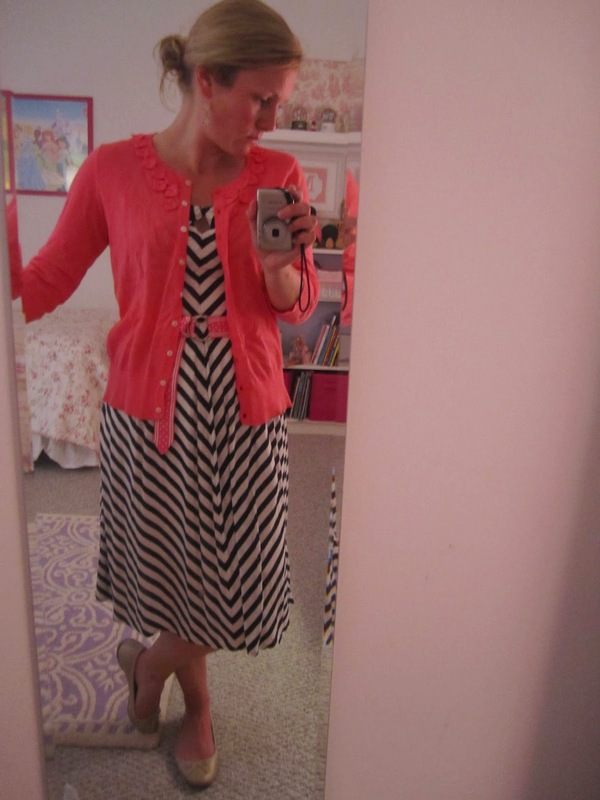 In this case, I wore it with a bunch of coral: coral cardigan and coral belt. 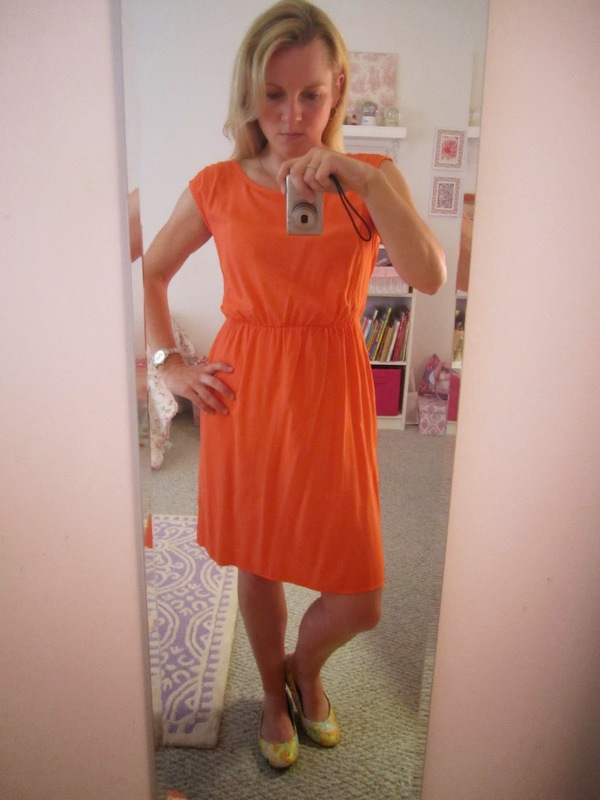 I like that the dress works in Spring, Summer and early Fall. I bought this dress at Old Navy last year around this time. I know it was on clearance for around $12. I couldn't resist! I love the fit, even if the fabric wrinkles like crazy after half a day's worth of use. 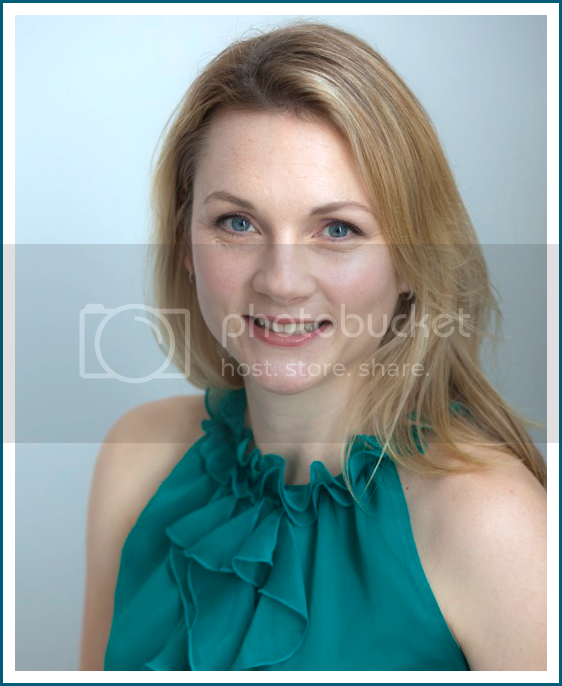 I've worn the double-strand grey belt with this dress in the past, but I wanted a brighter look on this day, so I left the waist alone. 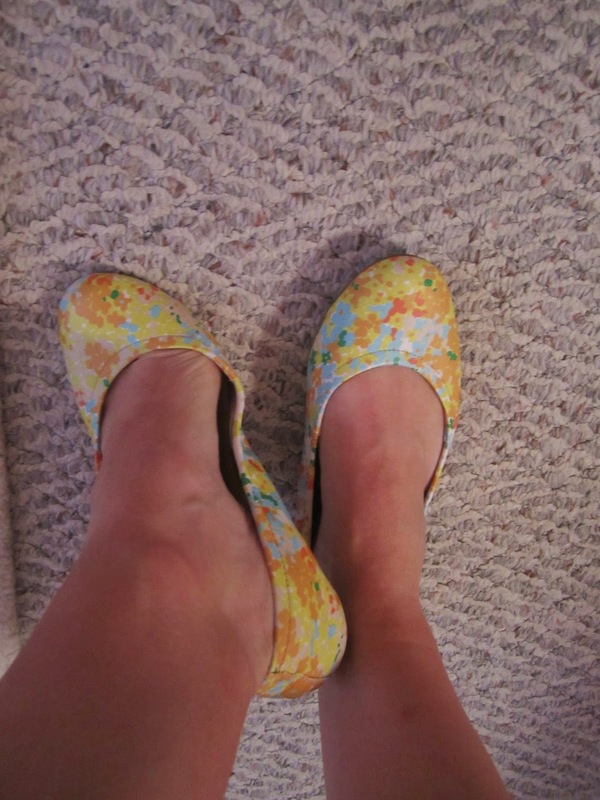 I wore my new favorite flats - printed floral flats from Boden (ooh it looks like they're on clearance- get them!) I love them!!! They are really sweet and cute and comfortable. There you have it: three new looks. Soon enough these posts will feature all things Fall. I love that striped dress! !